A Tradition of Putting Time-Tested Solutions to Work for our Clients. The Short Term Bond Fund is a short duration investment grade bond portfolio that focuses on preserving capital while seeking income consistent with that objective. As of December 31, 2018, the Fund’s Institutional and A share received a 4-star Overall Rating in the Short Term Bond category. You should carefully consider the investment objectives, potential risks, management fees, charges and expenses of the Funds before investing. The Funds’ prospectus contains this and other information about the Funds and should be read carefully before investing. You may obtain a current copy of the Funds’ prospectus by calling 800-544-6060. Past performance is no guarantee of future results. The investment return and principal value of an investment in the Funds will fluctuate so that an investor’s shares, when redeemed, may be worth more or less than their original cost. There is no guarantee that this, or any, investing strategy will be successful. Distributed by Unified Financial Securities, LLC. The Morningstar Rating for funds, or “star rating”, is calculated for managed products (including mutual funds, variable annuity and variable life subaccounts, exchange-traded funds, closed-end funds, and separate accounts) with at least a three-year history. 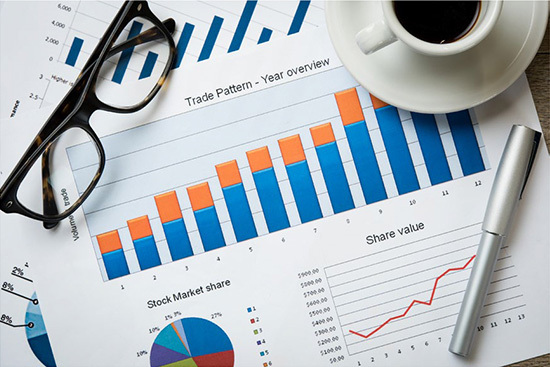 Exchange-traded funds and open-ended mutual funds are considered a single population for comparative purposes. It is calculated based on a Morningstar Risk-Adjusted Return measure that accounts for variation in a managed product’s monthly excess performance, placing more emphasis on downward variations and rewarding consistent performance. The top 10% of products in each product category receive 5 stars, the next 22.5% receive 4 stars, the next 35% receive 3 stars, the next 22.5% receive 2 stars, and the bottom 10% receive 1 star. The Overall Morningstar Rating for a managed product is derived from a weighted average of the performance figures associated with its three-, five-, and 10-year (if applicable) Morningstar Rating metrics. The weights are: 100% three-year rating for 36-59 months of total returns, 60% five-year rating/40% three-year rating for 60-119 months of total returns, and 50% 10-year rating/30% five-year rating/20% three-year rating for 120 or more months of total returns. While the 10-year overall star rating formula seems to give the most weight to the 10-year period, the most recent three-year period actually has the greatest impact because it is included in all three rating periods. The Fund had the following ratings as of 12/31/18, respectively: (1) for APIMX: 3 yr, 5 stars; 5 yr, 4 stars; Overall, 4 stars; (2) for AFMMX: 3 yr, 4 stars; 5 yr, 2 stars; Overall, 3 stars; (3) APIBX: 3 yr, 5 stars; 5 yr, 4 stars; Overall, 4 stars. The number of funds in the category: 3 yr, 472; 5 yr, 405; Overall, 472. The Fund does not have a 10 year Morningstar rating due to a strategy change on 12/20/2016.